The Dixie Sternwheeler reigns as the queen of Webster Lake, and is so legendary and popular that the community of North Webster dedicates a whole festival to her each year, one you’ll definitely want to join in on. 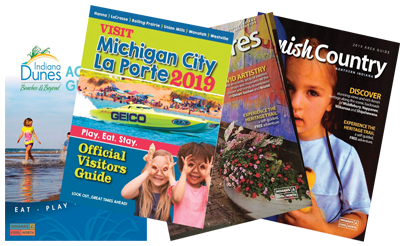 The celebration will include all those things everyone loves about this annual event – a terrific art festival, shows featuring cars, tractors and more, an antiques tent, and loads of food vendors – but the star is The Dixie, and a ride (or more than one!) aboard this classic 1929 vessel is the definite highlight. The Dixie Day Festival actually started when the North Webster-Tippecanoe Chamber of Commerce decided to honor The Dixie, which was added to the National Register of Historic Places in 2009. They also hoped a celebration of this national landmark would attract people to North Webster, a friendly community on the shores of Webster Lake, a longtime favorite spot for fishermen in the know. You’ll get some fascinating history, lots of old-time music and loads of fun on a 75-minute cruise aboard The Dixie. Passengers line the upper and lower decks of the bright white vessel as they learn about historic spots along the shore, such as the site of the Yellow Banks Hotel where Al Capone and his gang reputedly stayed. The Dixie normally cruises in the evening only, but extra afternoon sailings have been added for the festival. Concessions are available onboard. The Dixie, Indiana’s oldest sternwheeler, has quite a history in her own right. Once a ferry, mail carrier and wood hauler, it’s catered to tourists for decades. Through the years, the vessel has been modified and updated several times and can carry up to 150 passengers. Last year, 13,000 passengers took a ride. But there’s plenty to keep festival-goers busy on land. The juried Arts & Crafts Festival features a wide array of works created by local and regional artists. Enjoy the Car, Boat, Truck and Tractor Show, Antiques Tent, and Vintage Snowmobile Show. Visitors can join in the sanctioned 5k run and walk and fill up on loads of good food and refreshments from vendors who line the downtown streets. Once again, a two-day Boat Show at the Mermaid Festival Grounds, set for July 27-28, coincides with Dixie Days. Admission to the Festival is free and free parking is available in several locations. 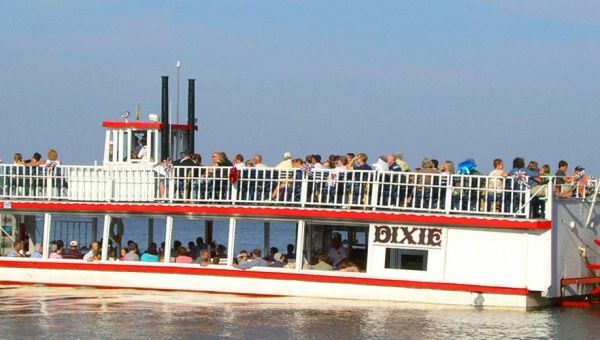 There is $7 admission for Dixie cruises. Start your day at the North Webster Chamber of Commerce information booth at the corner of South Main and East Washington streets for maps and schedules.